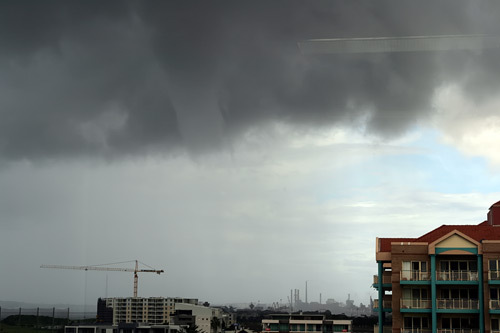 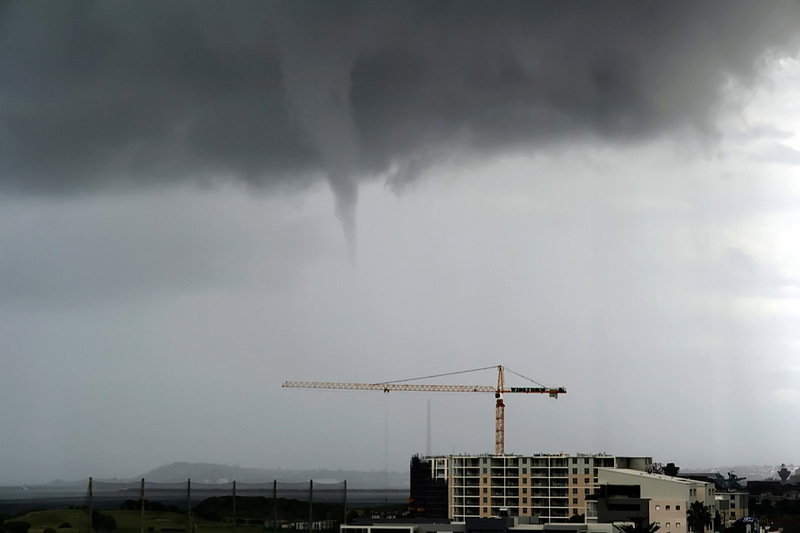 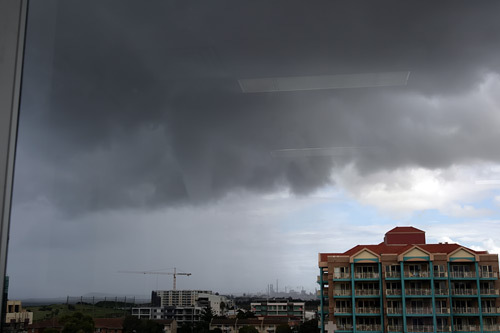 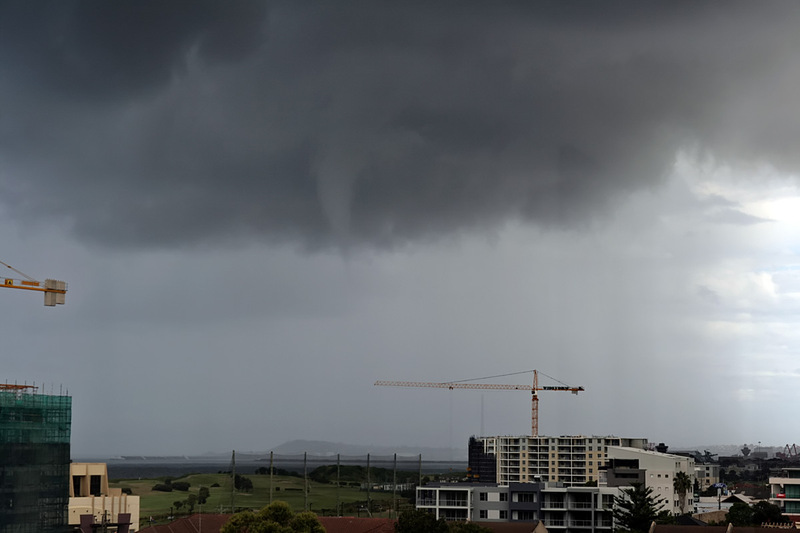 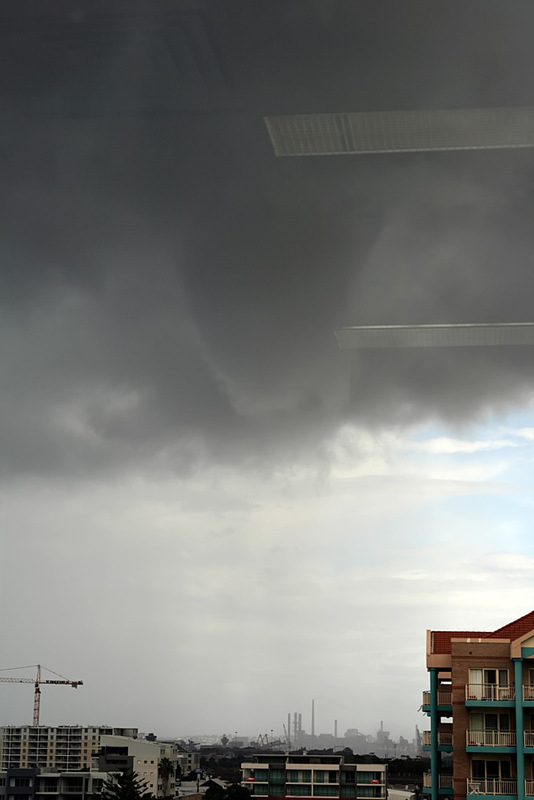 These two images show the larger funnel of the day. 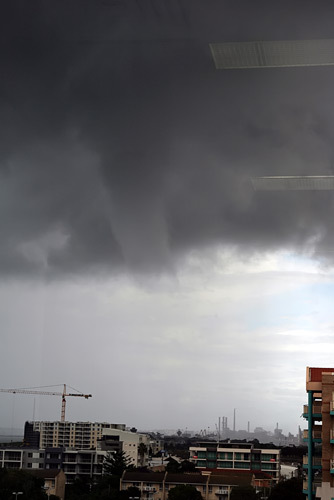 Despite the threastening look there was no unusual wind patterns at the ground observed. 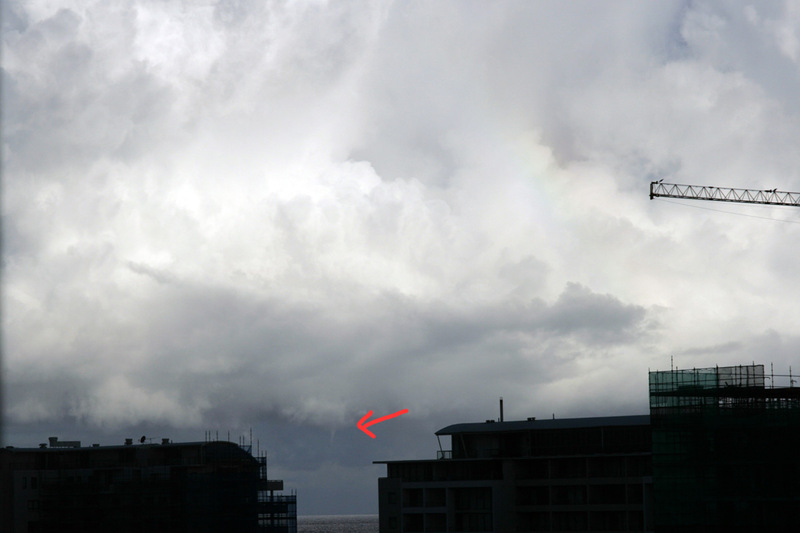 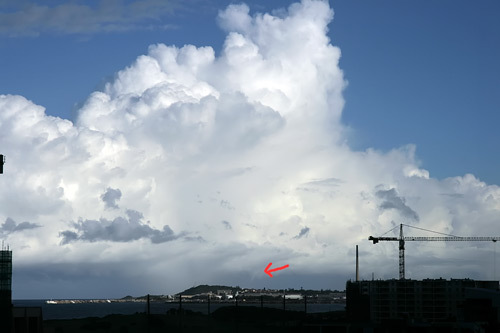 Earlier in the day there had been a couple of very weak and distant water spouts attached to tall non thundery cumulus.